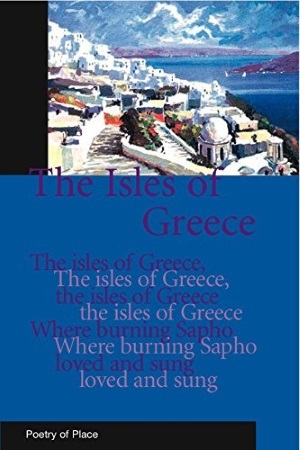 Donna J. Gelagotis Lee is the author of On the Altar of Greece, winner of the Seventh Annual Gival Press Poetry Award. The collection received a 2007 Eric Hoffer Book Award: Notable for Art Category and was nominated for the Los Angeles Times Book Prize for Poetry and other awards. Her poetry has appeared in journals internationally. She lived in Athens, Greece, for many years. the senses drunk as a waking mind. it had appeared for the first time. Yet none of the villagers seem distracted. the houses. Would that be so unexpected? slap. The rock shining beneath it. like arms. The hidden mouth. the meat with a knife, compliment the cook. but cannot lie down anymore, like a dead fish. of a pin. The sun is close to appalling. will come to rest. Even the tourists will slow. as they watch their children. on the sun’s sickle of island. as the hetairai. I was bronzed into antiquity. the stone beneath mine. I was not dismayed. I chose my stone—white / black—and cast my vote. the business of her citadel. heard the chitons of women brushing against me. as each passage of time transformed within me.